Live like Royalty in The Castle! 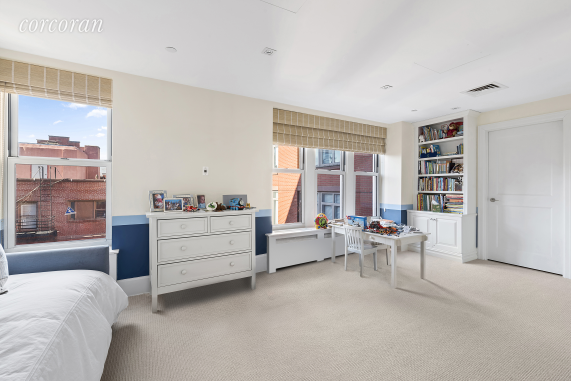 This extraordinary CPW duplex home features 4 bedrooms, 4.5 baths, and a large eat-in kitchen. 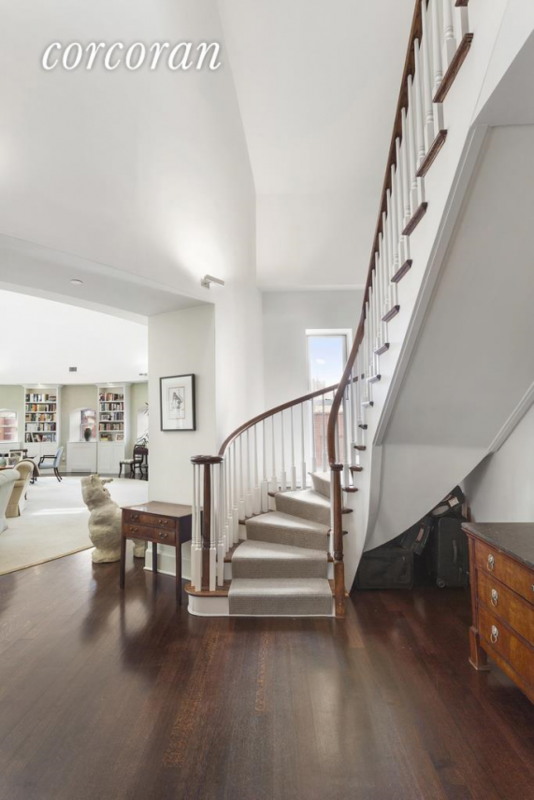 A grand foyer opens to a beautiful staircase curving upward to the second floor. 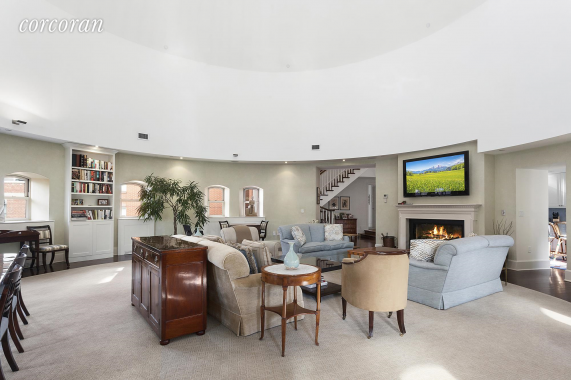 The huge circular living room lined with windows facing south and west, is truly a unique space (more than 1100 sqft & 37 feet in diameter), with a spectacular 37-ft cathedral ceiling in one of the five turreted structures. 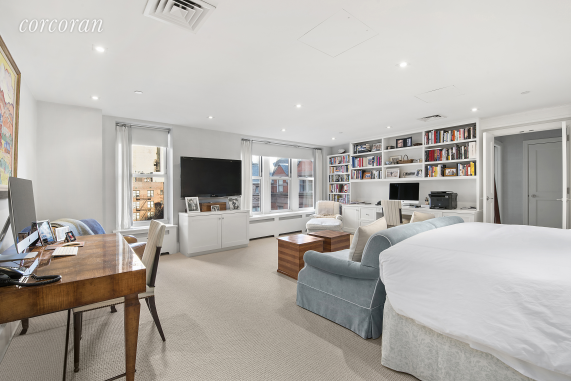 The apartment has been completely renovated adding gorgeous walnut wide-plank floors throughout and numerous additional closet space for storage. 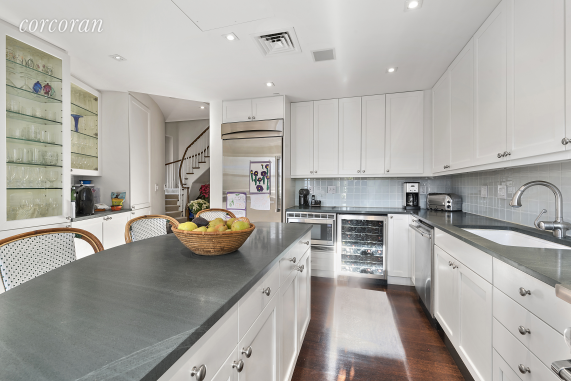 The double windowed gourmet eat-in-kitchen was completely renovated with beautiful forest green granite on both the counter-tops and island along with all new high-end appliances and extra cabinet space. 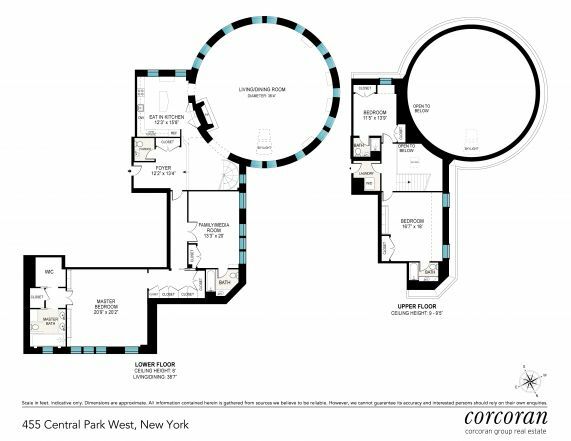 Off the foyer, one enters a wide hallway which leads to a large bedroom or library facing west with it's own bath en suite. 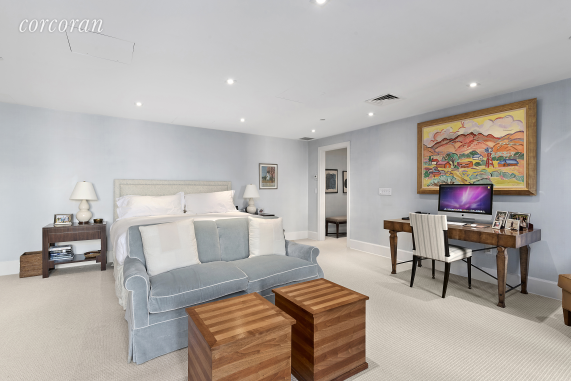 To the back is a large master suite overlooking the garden, complete with a newly renovated marble bath, which has two sinks, double steam shower and large dressing room with deep closets. 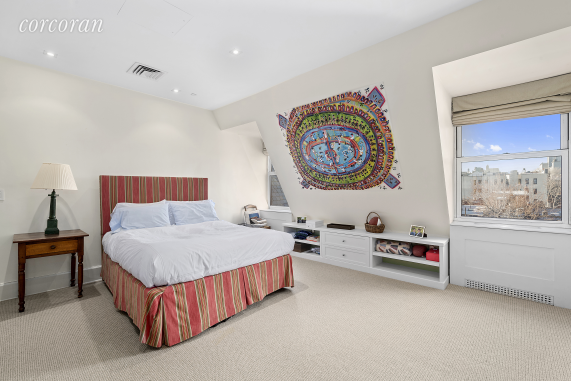 Upstairs there are 2 large bedrooms, both with baths en suite, and a laundry room. 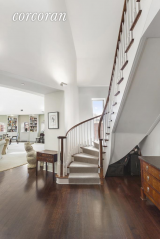 There is also an open loft area with an option for home office or den. 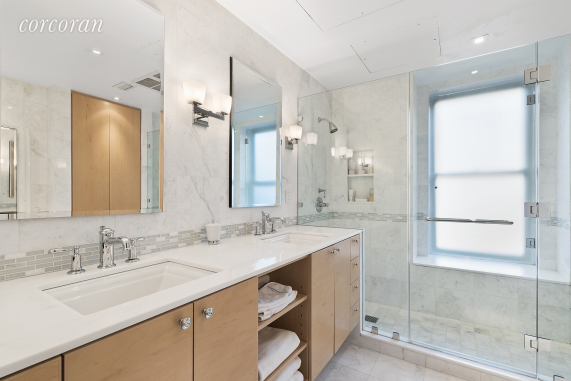 Wonderful light graces this apartment along with high ceilings, hardwood floors, and a wood-burning fireplace, which are major highlights in any home, but are secondary features in this castle on the park.